Welcome to the Debenture Holders’ Registration page. Below, please enter your registration ID and then a Certificate Number from any one of your debenture certificates. 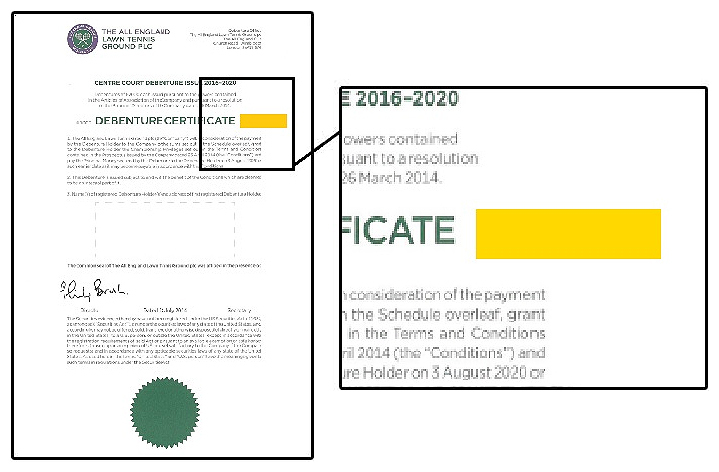 Your Certificate Number can be found on the front page of your debenture certificate. See the area coloured yellow in the image below.